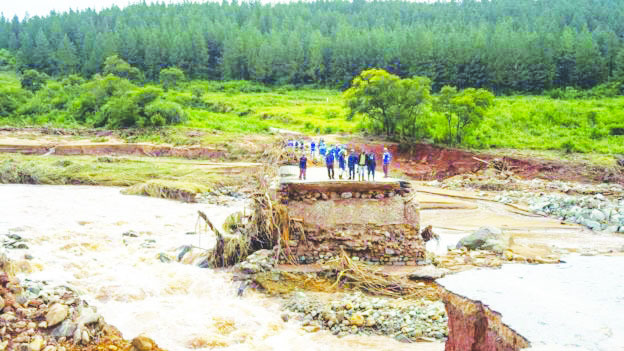 Cyclone Idai came and wrought havoc in some of the eastern parts of Zimbabwe. Many lives were lost, some people are still missing while others were injured. Infrastructure was destroyed and hindered rescue efforts. Food stocks were washed away. People found themselves without roofs above their heads and lost other properties. The trauma of going through such a harrowing experience and personal loss was and is still severe. We do commend efforts that are being made by government, stakeholders and individuals to assist and support those affected by this tragic event. The President of the country needs to be commended too as he saw it fit to cut short his foreign visit in order to lead and take part in the mitigation of the effects of the cyclone. These are times when we as a nation should be seen coming together to demonstrate our unity as a nation and our unique hunhu/ubuntu that separates us from other nations. Political differences aside here is an opportunity for us as Zimbabweans to show that we believe in and live our traditional philosophy that says I am who I am because of other people. This philosophy should therefore bring us together as one nation that cares for each and every citizen, especially those in dire need. Here we are, being presented with a situation where many of us are in dire need of support both material and spiritual. Differences do exist in any family, community, organization and nation but here let us be seen putting differences aside in order to put our efforts together so that we may provide concrete support to our fellow suffering citizens. Tomorrow it may be our turn. Idai is a Shona word that simply means love. 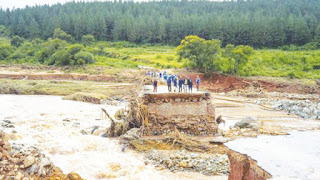 Zimbabweans, Cyclone Idai, although destructive, is simply telling or maybe commanding us to love one another. It is also our hope that a thorough post mortem of this event will soon be carried out in order to identify our shortcomings in dealing with Idai and come up with strategies that will help us handle such catastrophes in a better way.